Adding a ceiling light to a dark, dreary room. In older homes especially, it is not uncommon to have a room in the home that has no overhead lighting. You may count on a lot of freestanding lamps and natural light from the windows, but these spaces tend to be darker than other areas of your home. A certified electrician can add a light fixture to the ceiling of the room, wiring the light in a way that will not be visible. Suddenly a dark, dreary room is transformed, giving you more light—and probably much more enjoyment and function in the space. Installing a ceiling fan to cool your home. If you don’t have air conditioning, the addition of a ceiling fan can be a game-changer. 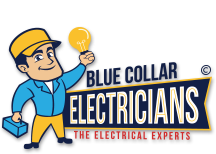 Many homeowners don’t think to call their local electrician for a ceiling fan installation, but in fact, many electricians—including Blue Collar Electricians—are very willing to handle these jobs. In no time at all, you will have a functioning ceiling fan helping to keep your home cool. Installing under-cabinet lighting. When your kitchen doesn’t receive a lot of natural light, it can be difficult to see. If you love to cook but feel limited due to inadequate lighting, the addition of under-cabinet lights is a must. You will have a well-lit workspace at any time of day. 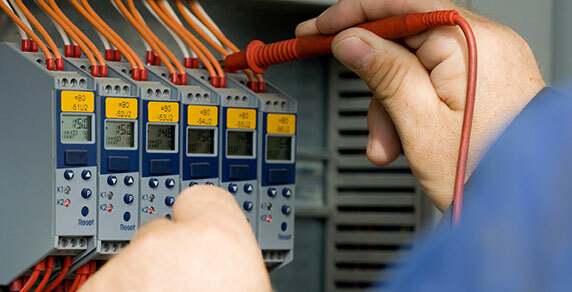 If you are interested in any of these projects, don’t hesitate to call the team at Blue Collar Electricians to learn more and schedule a job.